Rosh Hashanah, the Jewish New Year, begins the ten-day period known as the High Holidays. 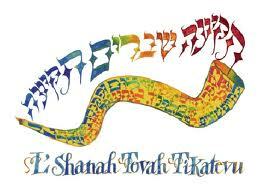 Rosh Hashanah is also known as the “birthday of the world”, the “day of remembrance” and the “day of the shofar.” Rosh Hashanah celebrates the ability of people to change and grow, as it is a time for deep thought, self-examination, and prayer. Yom Kippur, the Day of Atonement, is the holiday in which the Jewish people ask for forgiveness and forgive others. Yom Kippur, the most solemn and holy day of the Jewish year, is the last day of the ten days of awe and marks the end of the ten-day period of the High Holidays. The dates this year for Rosh Hashanah are September 10-11, 2018 and Yom Kippur is September 19, 2018.